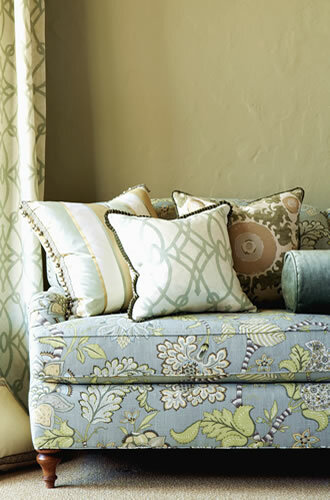 Fabric Lust: Calico Corners, LOOKatcha! Oh, Calico! You’re like the ugly duckling who turned into a swan. You’re Ruthie Pig-Faced Draper from Dan in Real Life who grew up to be ravishing. You’re J.Crew, pre-Jenna Lyons. You’re the kid who was a toad in high school, and then showed up to the class reunion looking like Don Draper. On that note, gooooood Lord. Does anybody have a towel? I mentioned Calico Corners briefly in last week’s Craigslist Re-Do post, since they recently went from drab to fab. Scoozi – when did that happen?? I may be a little slow on the uptake, but I remember a day when Calico Corners was wall-to-wall toile & damask (snooze). And then the next time I looked, shuh-ZAM! The place was jam-packed with vibrant colors, gorgeous patterns, and a myriad of fabric options… and at an average of about $30/yard. So, for those of you who want to, say, recover a headboard… Freshen up a $10 estate sale chair… Give the living room a facelift by adding a few punchy new throw pillows (a super budget-friendly way to go, ps)… whatever… CC has oodles of noodles of options, including entire collections by Ralph Lauren (for an All-American Classic vibe) & Iman (for a worldly vibe). 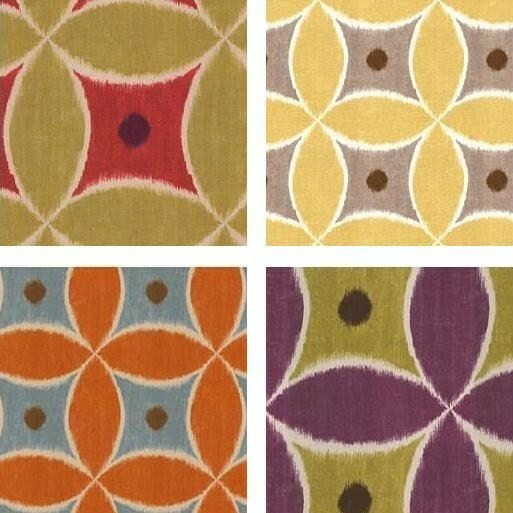 Below is an edited smathering of my top picks… many of which bear a STRIKING resemblance to some lust-worthy designer patterns, but for a fraction of the price. And get ready, cause I’m about to start talking to patterns as if they’re people. These are my “if I got myself knocked up and moved to Key West, I’d put you in my kid’s nursery” picks. Batik Leaf in Lily Pink, $24.99/yd. 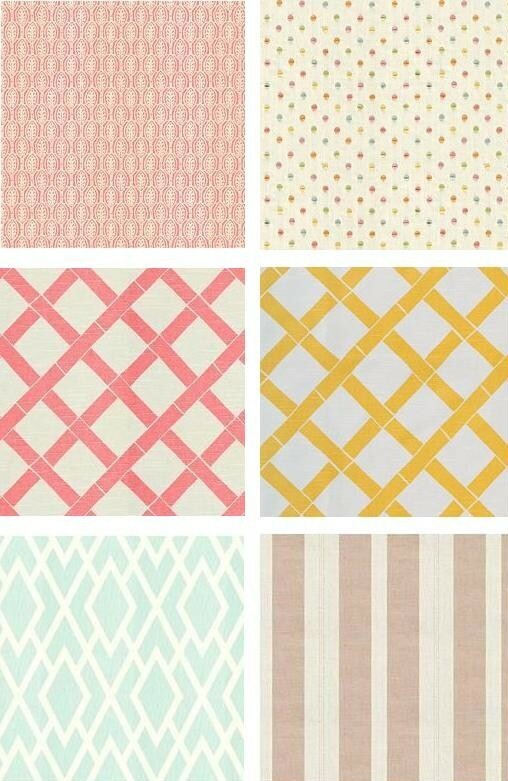 Dottie II Confetti, $69.99/yd (e-gads!) Key West in Pink (and Yellow), $14.99/yd (that’s more like it). Diamante in Seamist, $20.99/yd. 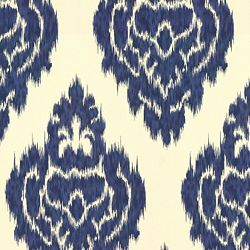 Dunham in Linen, $21.99/yd. Speaking of buns in the oven, I’d plop you in a nursery too. 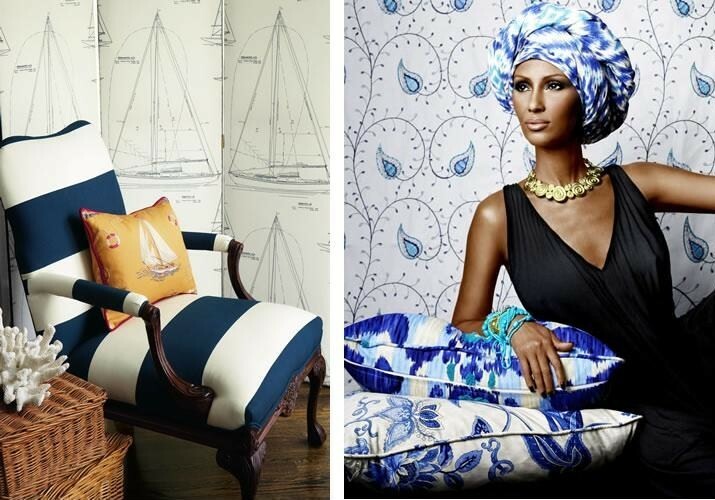 The pattern is playful, but the palette is sophisticated. Flower Field in Sand Dollar, $22.99/yd. Jayne’s house might like these. She has fairly traditional taste and loves warm, earthy tones. She also loves the aqua / tangerine combo. And Kenny G. Jayne is my mahm. Malino in Rust, $31.99/yd. Bocce Cocoa, $42.99/yd. 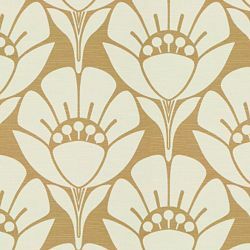 Ariane Mocha Latte (FAVE), $74.99 $37.49/yd. Tilbury Lapis (FAVE), $24.99/yd. 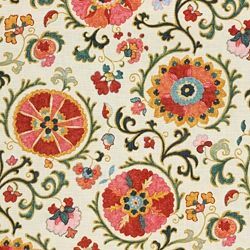 Madeleine in Terracotta, $47.99/yd. Ada in Adobe, $39.99. Thomas Paul… is that you in there? Silhouette (FAVE!) 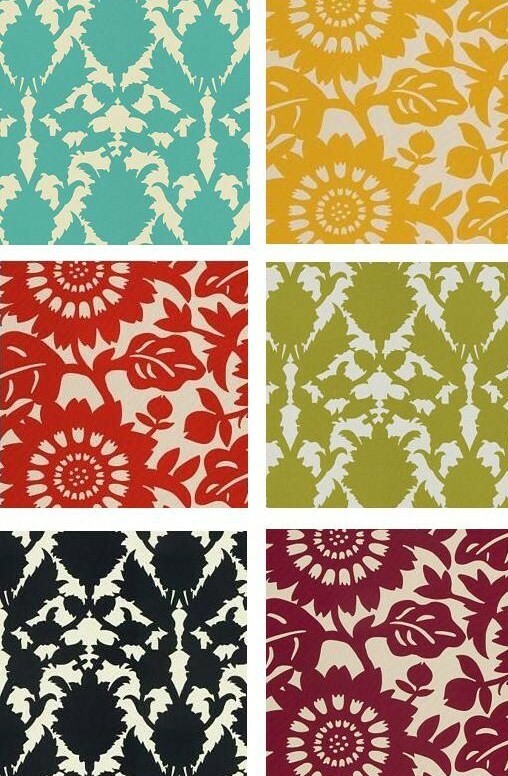 and Stockholm patterns, $24.99 in all colorways. Interesting. You look a bit like Kelly Wearstler’s Imperial Trellis. Though, no offense… the real Imperial trellis rocks my face off. 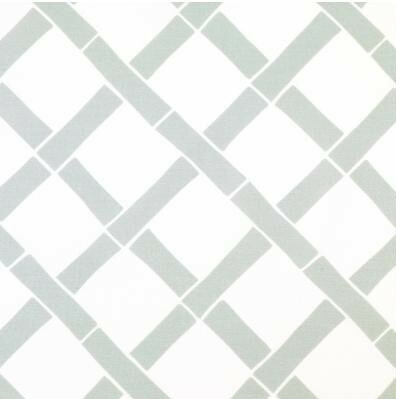 Sultana Lattice in Luna (Iman Collection), $34.99/yd. 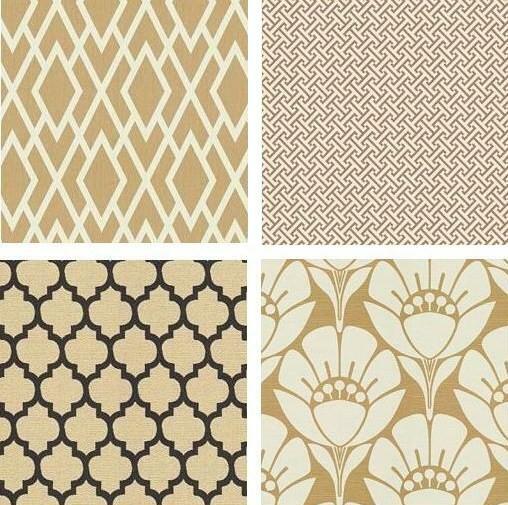 Kelly Wearstler‘s Imperial Trellis, available to the trade thru Schumacher. You and your little medallions make me think of a John Robshaw block print. I would make you into overstuffed pillows for my big outdoor living area. Next to my big pool. 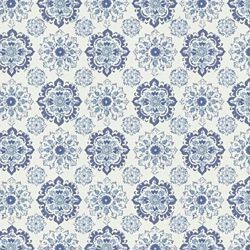 Medallion Bloom Outdoor in Hyacinth, $129.99/yd – YIKES, my bad. But it is Sunbrella (soil & stain resistant)… that’s somethin’. 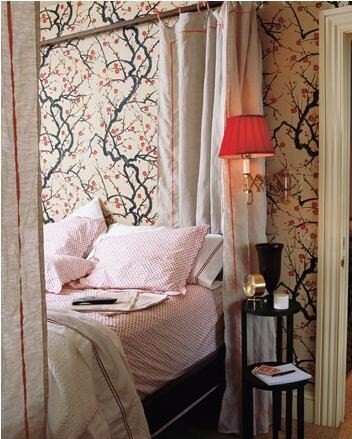 Remember the Flowering Quince wallpaper by Clarence House? 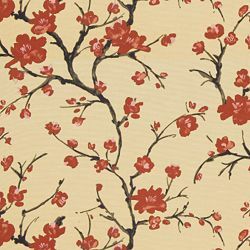 Flowering Branch in silk, $24.99/yd. I would love to make long, luscious drapery panels out of you, lovely linen. Are you grey? Are you a misty sagey green? I can’t tell, and I don’t think I care. You are fabulous. FAVE. When I look at you two, I hear the Super Mario Brothers music. 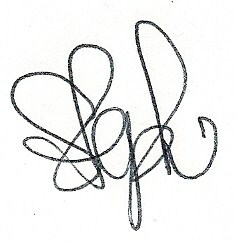 When I was 10, I thought it was a cosmic coinkidink that my initials were SMB. Obviously, I was born to win at Mario and save Princess Toadstool. 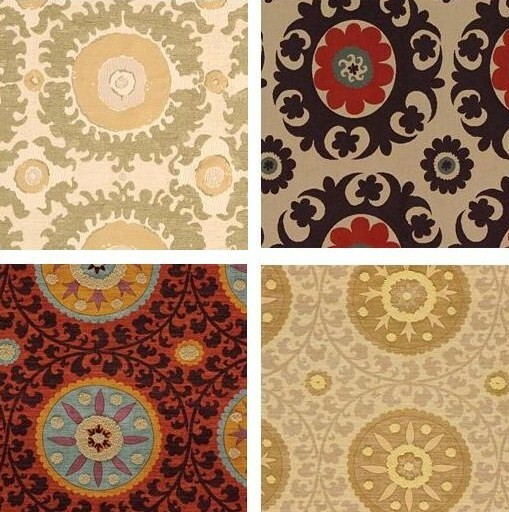 Alhambra Amour (Iman Collection), $28.99/yd. You remind me of the guys perched next to Lulu DK’s coffee table. You’re a little crazy, in an Alice in Wonderland kind of way. I think I like that about you. Oooh – comme les bijoux! You’re like a cool, funky, bohemian piece of jewelry. I would probably only use you in a small dose… maybe on a 12″ x 20″ rectangular pillow. Actually, check that, I’d put you on a Louis chair too. 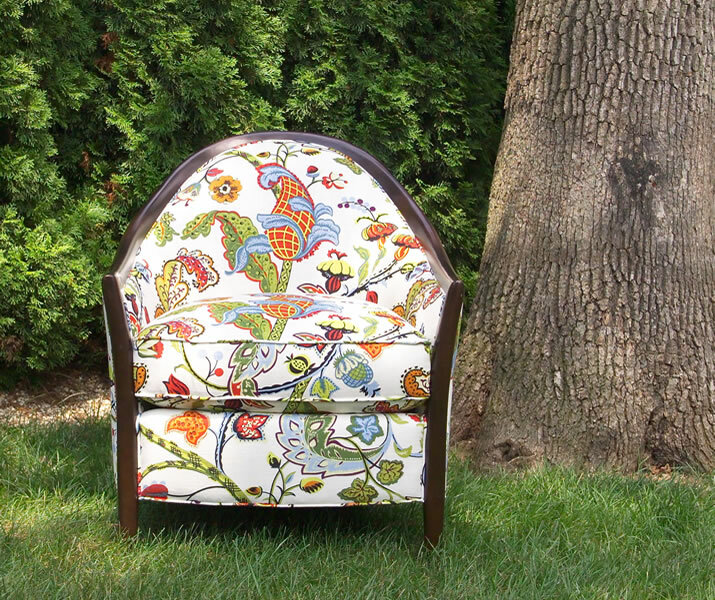 Or any antique French chair, like this one or one of these guys from Jayson H&G. Oh, Punjab! I love a healthy dose of whimsy. Punjab Peacock in Radicchio (Iman Collection), $48.99/yd. Crete in Sunset and Lagoon, $49.99/yd. You remind me of China Seas‘ Aga! Which is, ps, FLAWLESS. 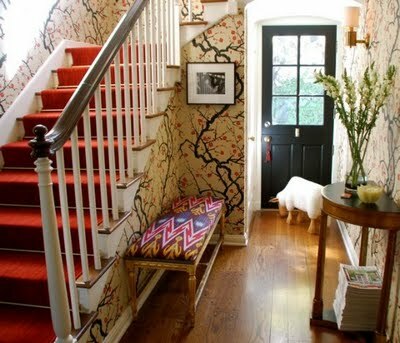 Hello, Ikat. I am still hopelessly devoted to you with no end in sight. Tilbury Lapis, $24.99/yd. Magnificat in Avocado, $24.99/yd. That goes for you too, Suzani. 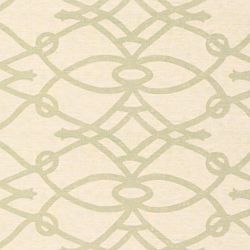 Corazon in Seaglass, $58.99/yd. 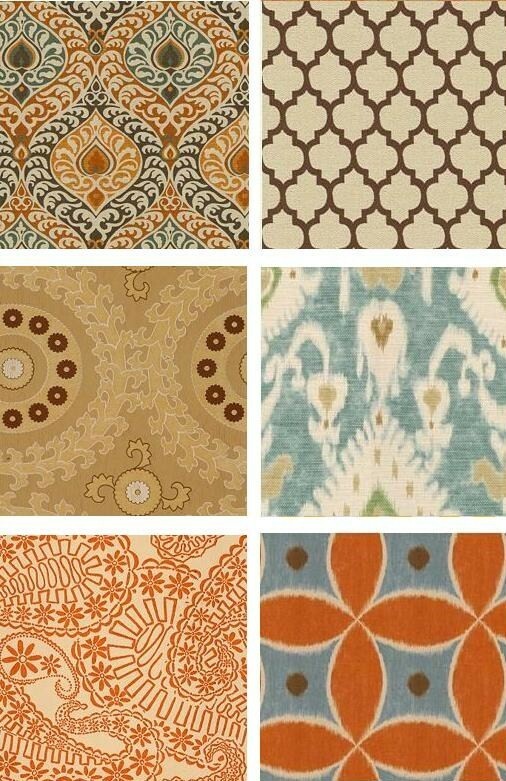 Katrina Lacquer, $84.99/yd. 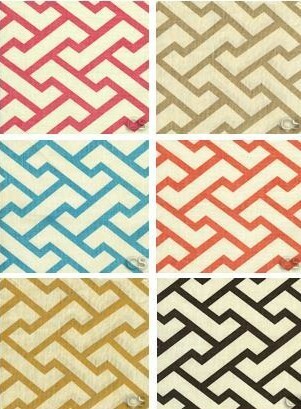 Tribal Thread in Sunset and Fog, $52.99/yd. 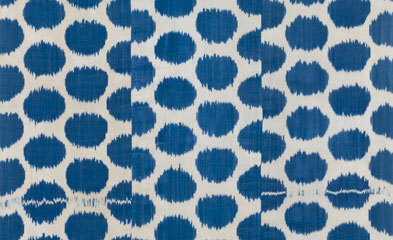 In the most remote way, you remind me of Madeline Weinrib’s Blue Mu (swoon), therefore I sort of love you. You four color combos should mate for life, because you are MFEO. Ada, $39.99 in all colorways. You, my neutral little friends, can come live in my house anytime. Diamante in Flax, $20.99/yd. Cross Section in Charcoal, $12.99/yd (woot woot!) Bocce in Ebony, $42.99. Flower Field in Sand Dollar, $22.99/yd. Don’t have a Calico Corners nearby or in your town? Don’t sweat it. Their super user-friendly website lets you order free swatches (and by free, I mean, they charge about $5 in shipping for every 4 swatches). 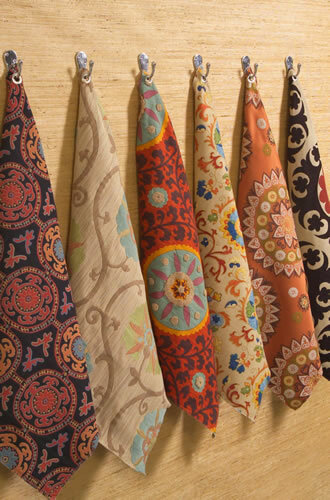 You can peruse fabrics online by color, pattern, collection, etc. – and most of the patterns I just showed you come in a ROYGBIV of other colors as well. Giddy up. PS I have a golden retriever too– and if you say I look like Don Draper, I’ll send you my photo! 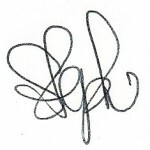 How wonderful to hear from you – I’m so happy you read the post! And happiest, of course, that you are the proud owner of Gus’ long-lost cousin 🙂 They really are the best, aren’t they? Calico really is rocking my face off these days – congrats to you and your team! I was in the store a few months ago and was blown away, and when I logged on the website to peruse and order swatches last week, there was so much great stuff it made my head spin. 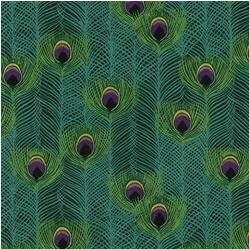 Thank you, thank you thank you for making such gorgeous fabric available to the masses at such killer prices. PS – Alright, I’ll say it: You look like Don Draper!